John Ullrich was a Certified Public Accountant and managing partner of Wipfli, Ullrich and Company in Wausau for 35 years from 1943-1978. He continued to serve the firm as a senior consultant until two weeks before his death in 1996—a 53-year career! Under Ullrich’s leadership, the company became the largest independent accounting firm in Wisconsin and the 25th largest independent accounting firm in the U.S. Today, Wipfli Ullrich Bertelson, LLP is known as Wipfli--and its 800 employees in 15 offices in Wisconsin, Minnesota and Indiana serve 20,000 clients. John Ullrich was born in Plymouth, Wisconsin in 1915 and graduated from the University of Wisconsin in Madison with a degree in accounting in 1937. After graduation, he worked for several years as an auditor with the Wisconsin Department of Taxation, making frequent trips to Central Wisconsin. D.C. Everest encouraged John Ullrich to come to Wausau, and in 1942 he and wife, Doris made the move. Ullrich joined the three-person Wausau accounting firm of Clarence J. Wipfli & Company, and was named a partner in the firm a few years later. His vision for Wipfli, Ullrich and Company was to help businesses all over central and northern Wisconsin grow and develop. John Ullrich quickly became an expert in timber taxation, and accounting colleagues from outside Wisconsin frequently consulted with him. As a business leader, John Ullrich was always upbeat and positive, even during recessionary periods. He encouraged employees to continually improve their skills through advanced training and to support the community. He, himself, was one of the Wausau community’s greatest supporters, and was often called, “Mr. Wausau.” Early in his career, he helped raise money to establish Thom Field in Wausau. He willingly volunteered his management skills, enthusiasm, and financial support to countless community organizations such as the Wausau Area Chamber of Commerce, YMCA, Junior Achievement and United Way. He helped organize the Leigh Yawkey Woodson Art Museum, the Performing Arts Foundation, and the Community Foundation of Northcentral Wisconsin. 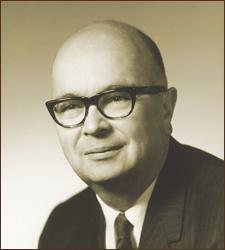 John Ullrich received numerous awards during his lifetime including a Distinguished Service Award from the Wisconsin Society of Certified Public Accountants in 1960, the Distinguished Business Alumnus Award from the University of Wisconsin in 1983, and a Governor’s Commendation in 1984 for his outstanding support and promotion of the arts. In 1998, John Ullrich was honored as one of Wisconsin’s most distinguished business leaders by being inducted into Junior Achievement’s Wisconsin Business Hall of Fame along with fellow laureates including Robert W. Baird (Robert W. Baird & Co.) and Herbert Kohler, Sr. and Walter Kohler (Kohler Company). Junior Achievement of Wisconsin’s North Central District is proud to honor John Ullrich as a 2009 Champion of Business.